Not only in greater Bushwick area is Rafael Fuchs known for photographing everyone, from locals to famous faces in the mags; everywhere, from streets to his studio. 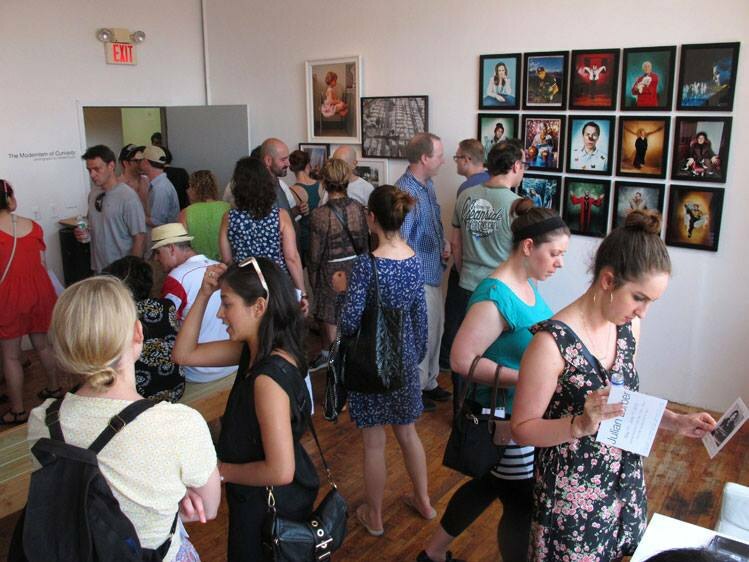 For Bushwick Open Studios, Fuchs pulled images from past to present, many of which were never seen before. Showing his work in his own gallery, Fuchs Projects at 56 Bogart St, he took the time to curate prints from various eras, grouping them together in a way that makes you say "Dayum! This dude has done A LOT." Although it's not a retrospect, it becomes a show within a show, with each crew of photos creating their own vision. When you walk in, one wall has an immediate blast of vibrant portraits of peeps such as Patty Hearst and Malcom McLaren, taken from Fuchs' days in the city some odd 30 years back (and yes we're picturing some cray-cray parties and some dope clothes). 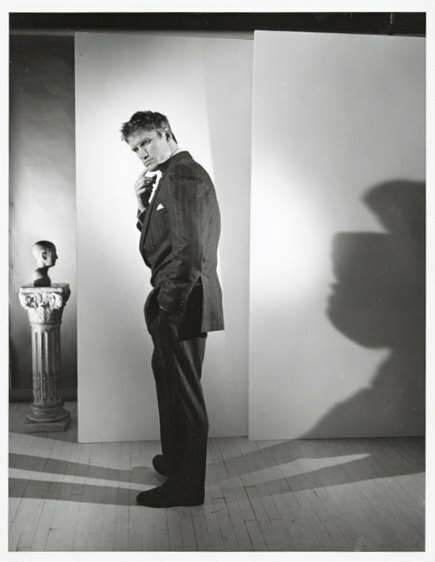 Another group of photos exhibits vintage-inspired images, spanning over various eras, some of regular people, some of more celebrities, but many stunning in their use of light and shadow. As you move from set to set, you just don't know what Fuchs is gonna bring next. Bring it on Fuchs!! Rafael Fuch's studio, BOS Opening Night. Image via Rafael Fuchs Facebook. 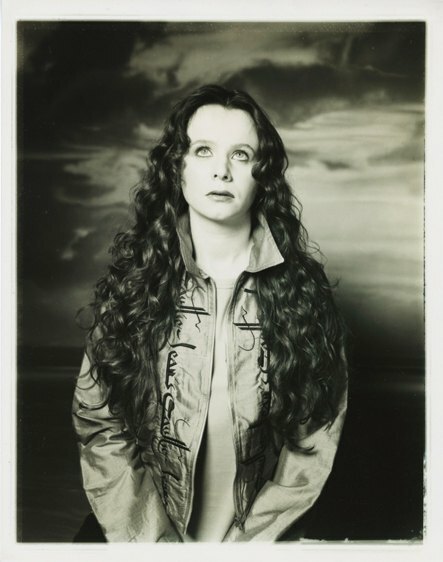 Emily Watson by Rafael Fuchs. Image via Arts in Bushwick. But one of the most fascinating parts of the show is a group of photos Fuchs took over the course of three months in Jerusalem in 1983. While his goal was to simply photograph the people around Jaffa Gate, his teacher told him his set of photos had political undertones. In one image, a boy against a wall shoots a toy-gun towards the lense. While taking the photo, Fuchs told the kid they could play a game where Fuchs would shoot him with the camera, and the boy could shoot him back with the gun. And while his teacher immediately stated he saw tension of the times in the image as well as in Fuchs' entire project, Fuchs never intended that--he says he just liked Jaffa Gate and wanted to have fun photographing the people and scenes. These sorts of stories are what can make photography (and art in general!) so interesting. While the meaning behind it all may seem obvious, you sometimes really just don't know. And because Fuchs was part of our Guide to the O.G. 's of Bushwick, of course we had to ask him about the neighborhood, and what it's been like for him through his years as a photographer on Bogart. When he first came to the hood in 2005, he had a loft showing at 11AM. He wanted to know his neighbors and asked the broker where everyone was. The broker told him they'd all be out later. It was too early, yo! While much has changed in the past decade in East Williamsburg's originally-industrial front, that certainly seems to still be a trend.